ROCOL® provides engineers in the offshore and marine industries with high-performance lubrication solutions. 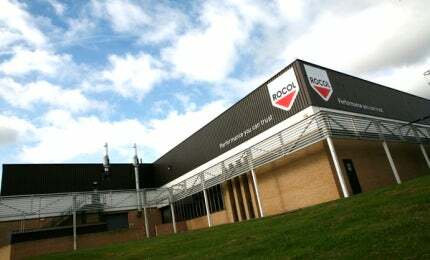 ROCOL has manufactured high-performance lubricants for more than 130 years. The company supplies users with products that significantly improve the performance and durability of wire ropes. ROCOL’s premium wire rope lubricants operates at a range of temperatures to significantly reduce friction, costs and wear, as well as provide corrosion protection and maximise service life. ROCOL’s BIOGEN WIRESHIELD® is a US Vessel General Permit (VGP) compliant lubricant for wire ropes and remote-operated vessel (ROV) umbilicals. The product has been awarded the European Ecolabel, Licence no. UK/27/013, independently verifying that BIOGEN WIRESHIELD meets strict environmental standards and VGP regulations that require operators to use only ecologically safe lubricants. ROCOL’s wire rope lubricant has been developed to comply with environmental requirements, without compromising on day-to-day operational performance. More than three years of research by industry-leading chemists at ROCOL has led to the development of BIOGEN WIRESHIELD. It is proven to excel in the most adverse environments, providing outstanding corrosion-resistance. It exhibited zero galvanic reaction after 1,000h in salt spray testing and offers shear stability in saltwater, showing excellent results and little degradation in testing. BIOGEN WIRESHIELD’s pseudoplastic rheology means that shear or agitation causes a reduction in dynamic viscosity, which allows maximum penetration into the core of wire ropes and umbilicals. It also increases pumpability during automatic application to minimise blockages. Its highly tenacious grease texture optimises wash-off and fling-resistance, which guarantees protection when wet. Environmentally acceptable lubricants are often said to have as having reduced performance capabilities when compared with traditional mineral oil lubricants. A ‘no-compromise’ approach has been taken to the development of BIOGEN WIRESHIELD, leading to its performance capabilities equalling or outperforming mineral oil competitors. The ROCOL anti-seize and assembly lubricant range is specifically formulated to reduce downtime and assembly costs. The products provide a durable barrier between metal and metal surfaces, offering protection against galling, pick-up and corrosion. Premium-quality, anti-seize products ease future dismantling and protect fasteners against wet, dirty and hot conditions. Furthermore, ROCOL anti-seize products offer excellent water-resistance and corrosion protection, making them ideal for subsea applications. ROCOL’s extreme-resistance perfluoropolyether (PFPE) greases are designed to operate in hostile environments. Greases used in the marine and offshore industries are often exposed to aggressive environments and chemicals. PFPE greases are an ideal choice where grease compatibility is essential. ROCOL’s PFPE greases are recommended by the UK Ministry of Defence diving and breathable air control systems, and often used in ‘fit and forget’ and ‘sealed for life’ lubricant applications. Designed to reduce equipment failure and downtime, ROCOL’s Open Gear lubricants offer excellent corrosion-resistance, even in humid, damp and wet conditions, making them ideal for use in the marine and offshore industries. The company’s TUFGEAR range of grease and spray lubricants are designed for effective lubrication and protection, whilst providing outstanding environmental performance (EP). ROCOL® are proud to be working in partnership with BRC Global Standards. The Vessel General Permit for Discharges Incidental to the Normal Operation of Vessels (VGP) is a US licence, which works alongside the Clean Water Act. ROCOL® has been providing engineers with high-performance lubrication solutions for more than 130 years. ROCOL® will be in attendance at the SPE Offshore Europe conference & exhibition this month. The exhibition will be hosted at the Aberdeen Exhibition and Conference Centre from 8 to 11 September. Offshore vessel operators seeking to enhance the service life of wire ropes and umbilicals, whilst complying with the new US VGP requirements, will be able to access the technical expertise of UK lubricant manufacturer ROCOL® at Offshore Europe 2015. New independent testing of the recently launched BIOGEN WIRESHIELD® wire rope and ROV umbilicals lubricant demonstrates consistently high-lubrication performance within an industry-leading temperature range of -50ºC to 180ºC.